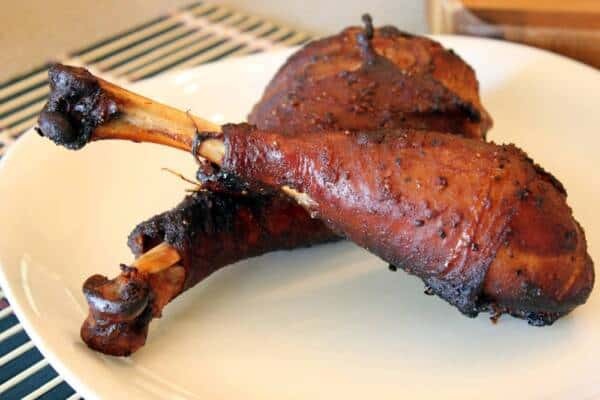 In this edition of the Smoking Meat Newsletter,I'm going to share my own recipe for smoked turkey legs at home just like the ones that sell at the state fair every year. 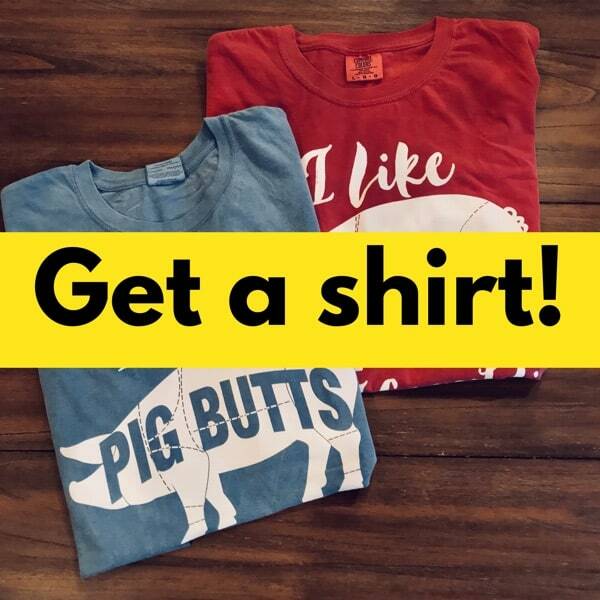 I love these and I think you will too. 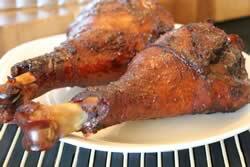 Make turkey leg brine using the following recipe. Note: this makes 1 gallon of brine which is enough to cover about 6 turkey legs. Feel free to double the recipe if you are doing more legs. 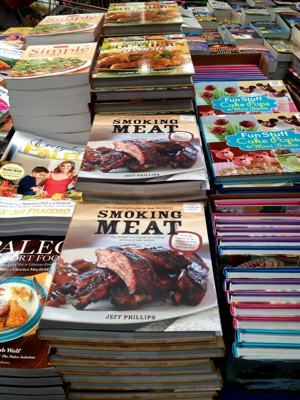 Please note: the section of this newsletter on how to smoke nuts and seeds has been moved to it's own page HERE. Pour 1 of the quarts of water into medium sauce pan. Stir in kosher salt until dissolved. Add the other ingredients except for the ice. Place pan over medium heat and allow it to come to a slow boil. Once it is boiling, turn it down a notch or two so that it just simmers for about 10 minutes. Remove pan of brine from stove and allow to cool for a few minutes. Pour remaining 2 quarts of water into a 1 gallon tea pitcher or similar container then pour brine into tea pitcher. The cold water should help to cool down the brine. Now add the 2 quarts of cubed or half-circle ice and stir well from top to bottom to further cool the brine. Once the brine is cold, it is ready for use and can be set aside. 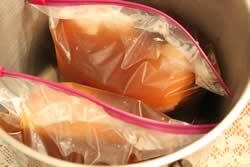 Brining is very important for poultry since it adds extra water/moisture inside the meat. During the cooking process, moisture is lost. 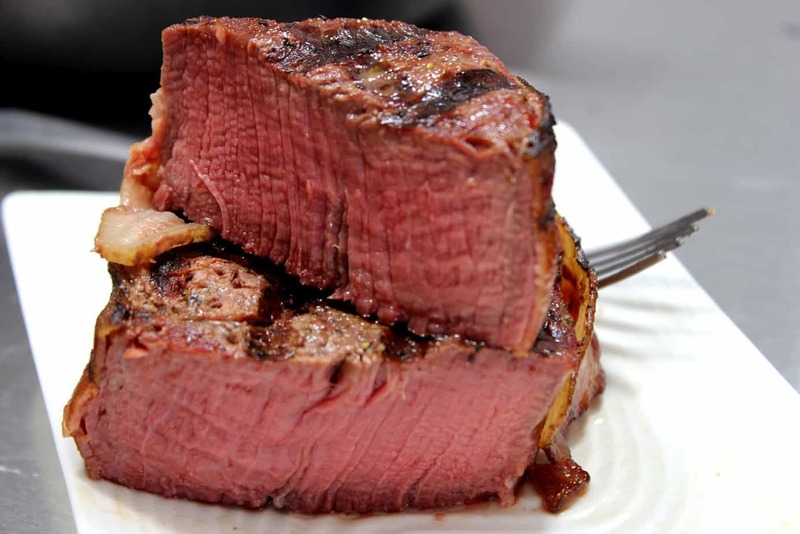 By brining you are adding moisture so that even though some is lost, there is enough left to keep it extra juicy inside. 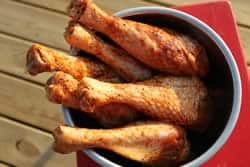 To brine the turkey legs, I recommend placing the legs in a large 2 gallon ziploc or perhaps use a couple of gallon size ziplocs and put 3 legs in each one. Pour the brine over the turkey legs until they are covered and zip them up. I like to place the ziploc bag(s) straight up inside of a large stock pot to prevent any risk of spillage. 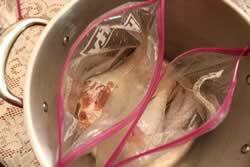 Place the bags with turkey legs and brine into the fridge and allow them to brine for 4 to 8 hours. Note: I have brined these for 4 hours and for as much as 8 hours and there does not seem to be a difference in saltiness of the end product so I have to assume that the meat reaches a point where it equalizes and does not take on more salt. 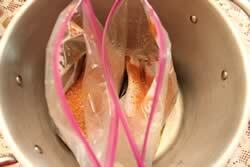 Once the turkey legs are done brining, open the ziploc bag just a little and drain the brine. 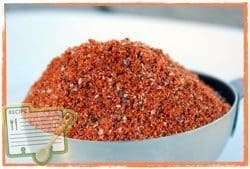 Refill the bags with cold, fresh water and then pour it out again to rinse away any excess salt. repeat this rinse a couple of times. Now the turkey legs are ready to be seasoned on the outside and put into the smoker. I left the turkey legs in the brining bags and poured about 1/4 cup of oil over the legs in each bag. 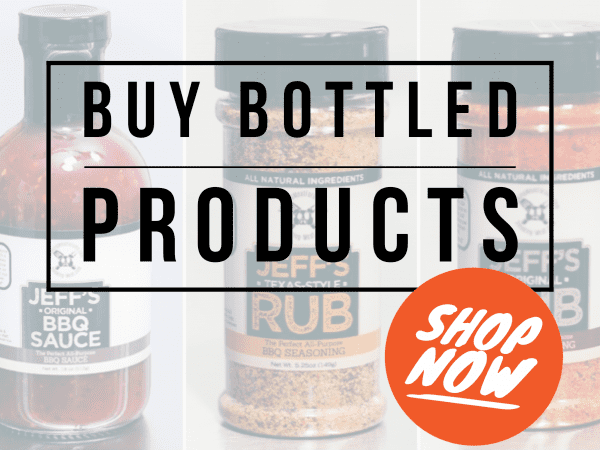 I then added 4 heaping tablespoons of my rub recipe into the bag then sealed the bag up and massaged the bag to completely cover the legs with the rub. You can also do this by hand, without a bag if you wish. 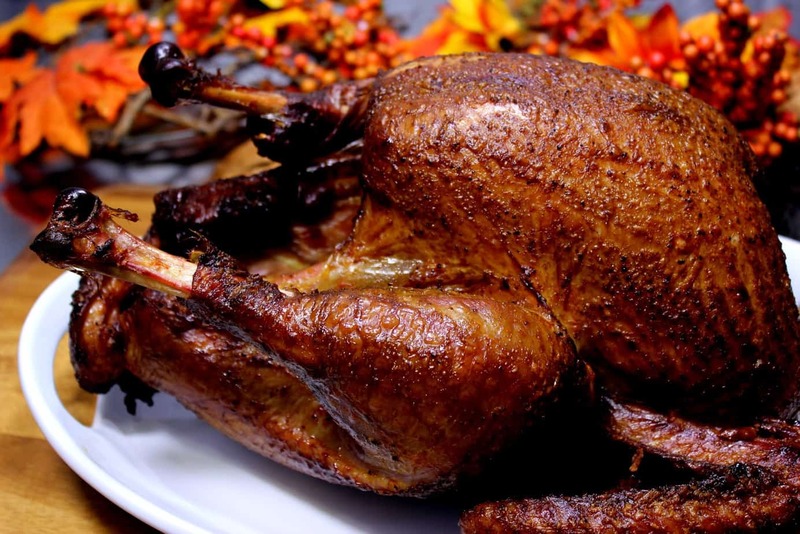 Just rub oil or regular yellow mustard all over the turkey legs and under the skin and use your hands to massage my rub onto the meat making sure to get it under the skin wherever possible. 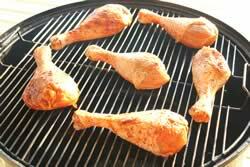 Once the turkey legs are seasoned up real good, you can set them aside and go get the smoker ready. 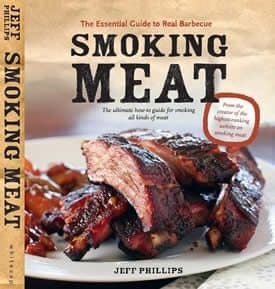 You may also opt to get the smoker ready before seasoning the turkey legs if you think it will take a while. I decided to use the 22.5 WSM (Weber Smoky Mountain) smoker this time not to mention that it is one of my favorite charcoal smokers. 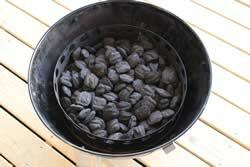 It is quite easy to maintain a steady temperature and can go all day on a single bag of charcoal. I only needed about 3-4 hours but what the hey.. it's fun to use and I have not used it in a while so I broke it out, cleaned it up and proceeded to prepare it for smoking. 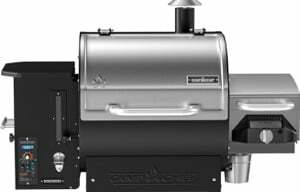 The best way to setup this smoker is in the minion style.. unlit charcoal on the bottom (amount depends on how long you are wanting to run the smoker) with about 40 pieces of lit charcoal poured on top. I always tend to add way too much unlit charcoal and it runs for hours on end beyond what I actually need but that's me.. this time I filled the charcoal ring up to about 2/3 full and placed 40 pieces of charcoal on top. I filled the water pan up with about 2 inches of water and only used the top grate (I leave the bottom grate out unless I need it, to keep it clean). I set the lid on top and adjusted the bottom dampers to about 15 % open and the top damper to about 50% open. This is NOT per the instructions that came with the unit but it's how I do it. I had to take the kids to school before I smoked the turkey legs so I got the smoker going before I left in the configuration mentioned and I knew that by the time I returned 45 minutes later, it would be about right. 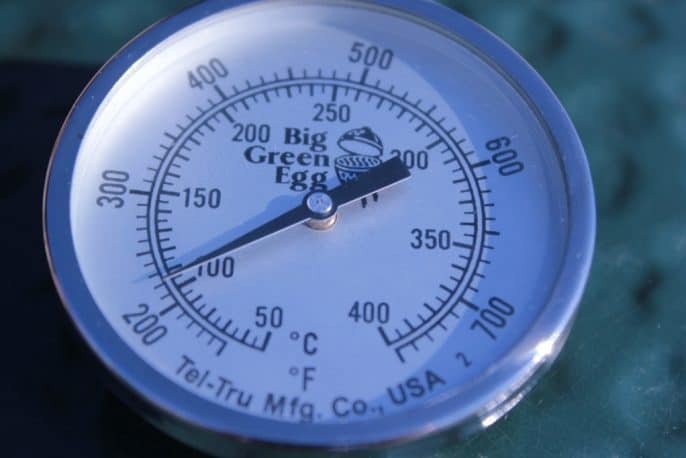 When I returned it was clicking away at about 200 degrees and I adjusted the dampers ever so slightly to allow just a bit more air in to bring the temperature up to my goal temperature of 225-230 degrees. 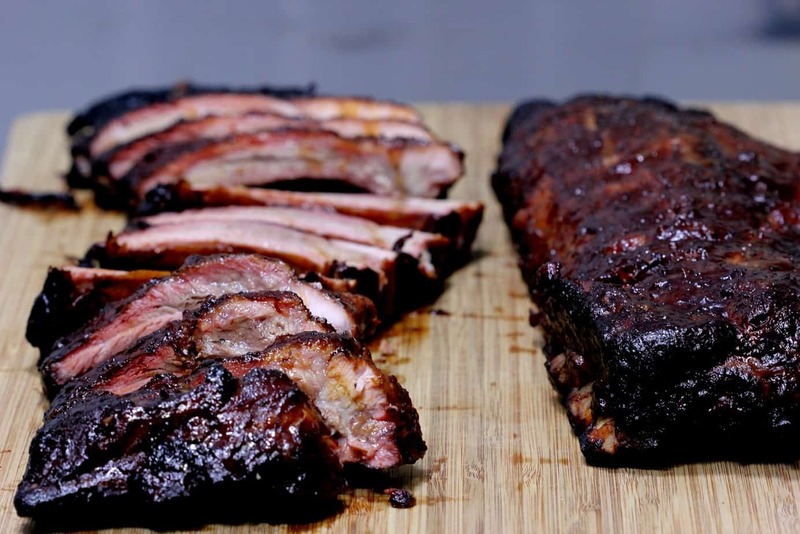 Air control is key in this smoker, use just enough lit charcoal so that you can give it minimum air and it will maintain around 230 degrees. 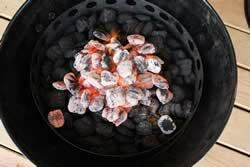 If you don't use enough lit charcoal you will have to give it more air and the extra air will cause all of the unlit charcoal to ignite within a very short period of time and you will not be able to control the temperature that ensues. 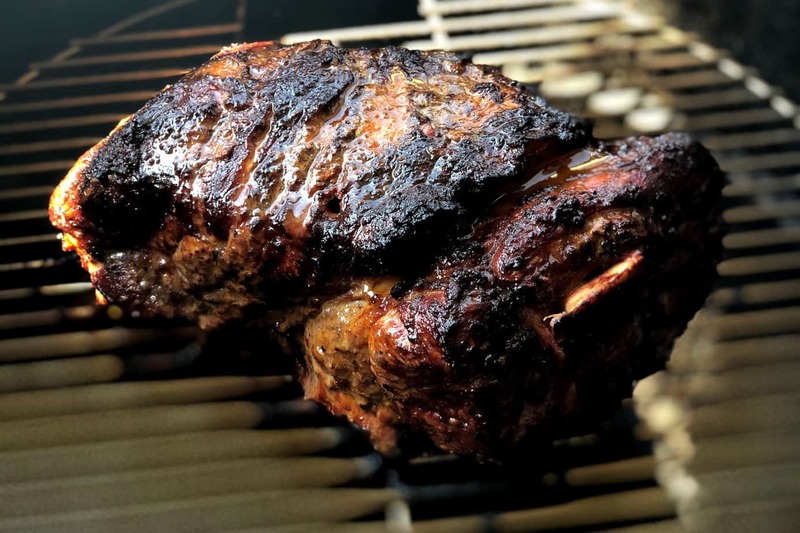 If you use too much lit charcoal, you will have to practically shut down every damper completely to cool it down and then you will have other problems on your hands. I recommend that you experiment to find out what works best for you and try to write down what works so you can repeat the process. I laid the turkey legs on the top grate making sure to leave some space between them so the smoke could have full access to the meat. I then quickly replaced the lid so as to not lose too much heat. At this point, the turkey is pretty much hands off for several hours. 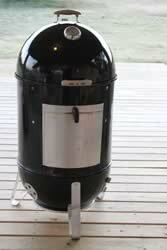 Keep a watch on the water pan and make sure the smoke keeps flowing for at least 2 hours but that's about it. 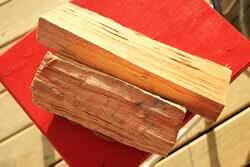 Cherry splits – I laid one of these right on top of the lit charcoal and it provided smoke the entire time. The turkey legs that I purchased were rather small and took only 2 hours and 45 minutes to reach 165 degrees. If you find larger ones, they will obviously take longer to cook. 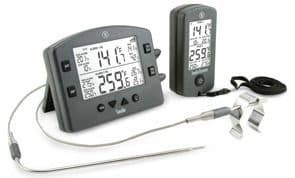 The digital probe meat thermometer is your friend and will do a great job of letting you know when the turkey legs are finished cooking and take the guess work out of it. 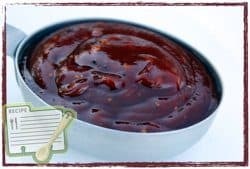 If you like the traditional maple flavoring on the turkey legs, you can baste them with maple syrup about 30 minutes before they are finished. Brush it on liberally or use a spoon to drizzle it over the top. 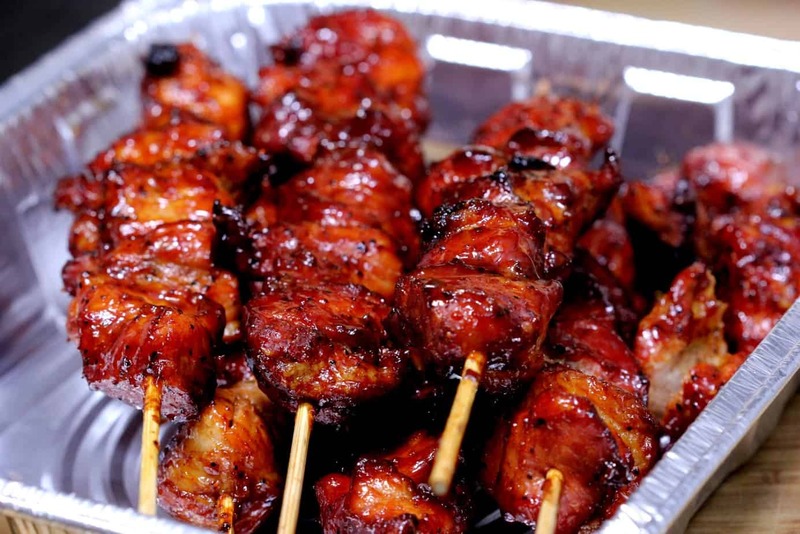 When the turkey legs are finished cooking, I recommend wrapping them in foil to keep them warm until ready to eat. To Reheat – 325 for 25 minutes wrapped in foil in oven. As an employee of Bradley Smoker and a Bradley SMoker user, it is we DO NOT recomend wraping the racks in foil. It also states that in the owner's manual. 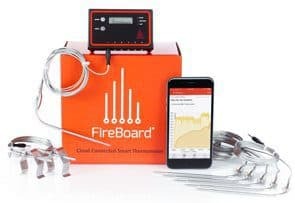 This is how fires get started.